199 loyalty points Your cart will total 199 points that can be converted into a voucher of 7,96 PLN. If your goal is to increase muscle mass and strength is Iron Mass 20 is the product you are looking for. A blend of the highest quality proteins and complex carbohydrates do not cause spikes insulin will help you complete the daily calorie intake and enter into a state of anabolism. Focusing on this product will be able to gain weight in a short time! 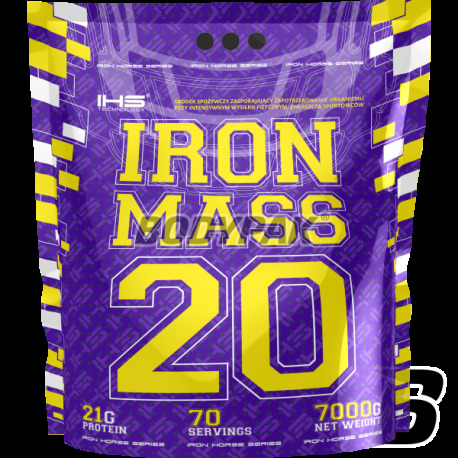 IHS Iron Mass 20 is a delicious, thick shake, which is well suited as a replacement for meals, you can also apply before a workout without fear that it will put you to sleep like a weight gainer loaded with sugar. HIGH NUTRITIONAL VALUE, EXCELLENT digestibility and a thick creamy texture with a pleasant taste and smell. 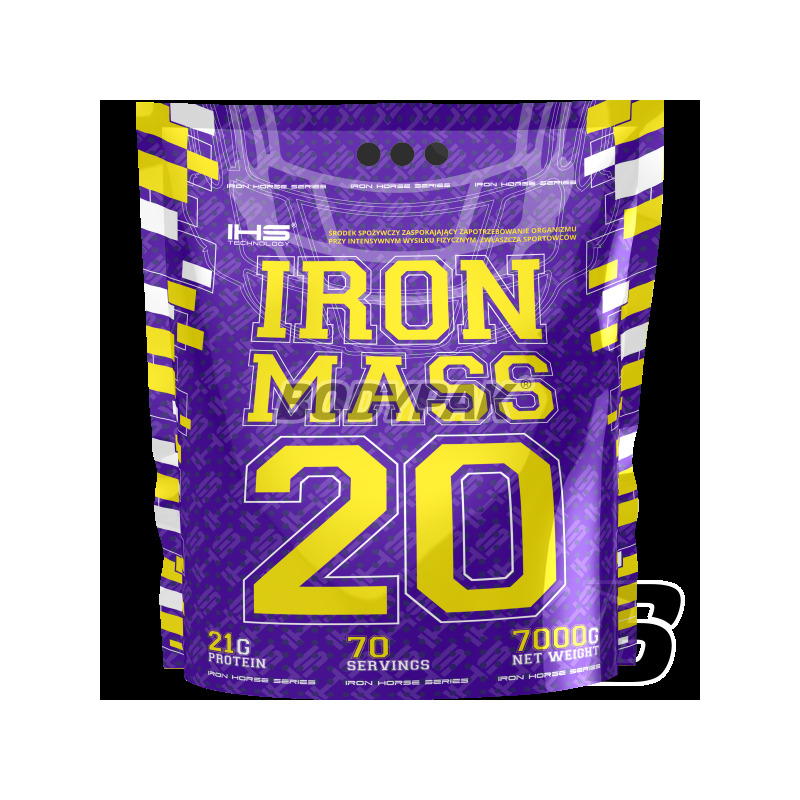 IHS Iron Mass 20 is designed especially for strength athletes and strength-endurance, wishing to supplement their diet with nutritious animal protein, wolnochłanialne complex carbohydrates and vitamins. IHS IRON MASS 20 - EASY AND TASTY ADDITION TO DIET nutrients! Ingredients: maltodextrin niskocukrzone Dymatize whey protein concentrate, milk protein concentrate, DL-alpha-tocopherol, thiamine mononitrate, riboflavin, pyridoxine hydrochloride, citric acid amide, D-calcium pantothenate, folic acid, D biotin, cyanocobalamin, l-ascorbic acid, sweetener (sodium saccharin, sucralose), thickeners (guar gum, xanthan gum), flavoring. Chciałoby się powiedzieć smacznie i zdrowo, ale bardziej.. masowo. Sprawdza się jako uzupełnienie diety bądź awaryjny posiłek. Dziki Iron Mass udało mi się w końcu pchnąć masę do przodu więc działanie jak najbardziej potwierdzone. Walory smakowe to bajka, mnie bardzo smakuje kawowy. Legendary gainer returns in an even stronger form! Excellent taste and solubility is not all, the product has a very good composition. Enriched with creatine, MCT oil, and 12 vitamins. Bet on the quality!